Home Cooking. 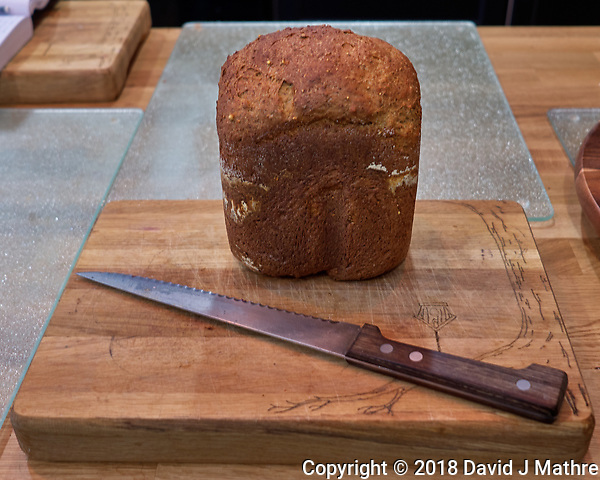 Hearty Whole Wheat & Multigrain Bread. 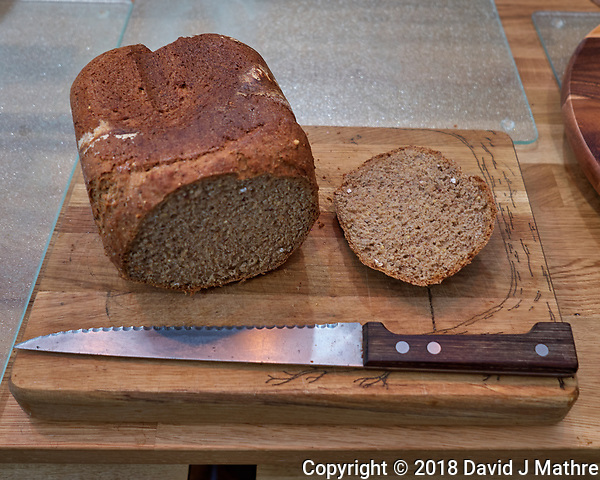 Hearty Whole Wheat & Multigrain Bread Recipe: Whole Wheat Flour (1 cup); Bread Flour (1/2 cup); Sprouted Wheat Flour (1 cup); Sorghum (1/4 cup); Flax Seed (1/4 cup); Chia Seed (2 Tbs); Super Seed & Ancient Grain (1/4 cup); brown sugar (2 tbs); dry milk (1/4 cup); salt (2 tsp); egg (1 large); flax oil (2 tbs); water (1 1/2 cup). Above ingredients added to Panasonic Bread Bakery. Yeast (2 tsp) added to yeast hopper and the unit set for Whole Wheat Bread (Rapid) and started. Three hours later, the loaf of bread was removed and allowed to cool.